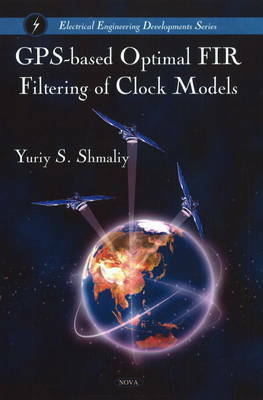 This book addresses novel results in the field of optimal finite impulse response (FIR) estimation and steering of the local clock time errors using the Global Positioning System (GPS) timing signals. The studies are motivated by permanently increased demands for accuracy of the local timescales in different areas of applications of wire and wireless digital systems. The main limitations of accuracy here are the GPS time uncertainty caused by different satellites in a view and the sawtooth noise induced by the commercially available GPS timing receivers owing to the principle of the one pulse per second (1PPS) signal formation. Due to the GPS time uncertainty, flicker components of the clock noise, and non Gaussian sawtooth noise, the standard Kalman algorithms may become unstable and noisy, even when the sawtooth correction is applied. We show that an efficient way of providing stable and accurate filtering, smoothing, prediction, and steering of the local clock errors is to use the optimal FIR structures, which are inherently bounded input/bounded output (BIBO) stable and more robust against temporary uncertainties and round-off errors. Moreover, unbiased polynomial FIR solutions having strong engineering features become actually optimal by large averaging horizons typically used in timekeeping. Such solutions are found and investigated in detail theoretically and for real measurements. 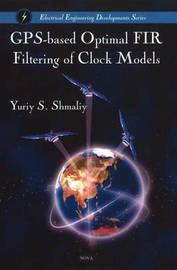 Based upon, it is stated that optimal (unbiased) FIR estimators are likely the best candidates to use in the modern filtering, prediction, and synchronisations algorithms intended for the estimation and steering of local clocks.